Some called Trump’s move Islamophobic and an “incitement” to violence against the Somali-American politician, while others said it put her “life in danger”. The video Trump retweeted on Friday pulls a snippet of Omar’s recent speech to the Council on American-Islamic Relations (CAIR) in which she described the 2001 attack on New York’s World Trade Center as “some people did something” and includes news footage of the hijacked planes hitting the Twin Towers. “For far too long we have lived with the discomfort of being a second-class citizen and, frankly, I’m tired of it, and every single Muslim in this country should be tired of it,” she said in the March 23 speech, according to a video posted online. “CAIR was founded after 9/11 because they recognised that some people did something and that all of us were starting to lose access to our civil liberties”. Omar’s critics denounced what they said was a flippant description of the attacks that killed nearly 3,000 people. “First Member of Congress to ever describe terrorists who killed thousands of Americans on 9/11 as ‘some people who did something,'” tweeted Dan Crenshaw, a Republican Congressman. “Here’s your something,” the New York Post newspaper blared on its cover beneath a photograph of the flaming towers. The response by conservatives prompted many others, including politicians, academics, actors and writers, to rush to Omar’s defence, posting tweets with the #IStandWithIlhanOmar. Bernie Sanders, Democratic presidential candidate, called Trump’s tweet “disgusting and dangerous” on Friday, while Nancy Pelosi, speaker of the US House of Representatives, scolded the president for using the “painful images of 9/11 for a political attack” against Omar. Senator Elizabeth Warren, who is also seeking to become the Democratic party’s presidential candidate, accused Trump of “inciting violence against a sitting congresswoman – and an entire group of Americans based on their religion”. Actor George Takei, best known for playing Hikaru Sulu in the 1966 Star Trek television series, also expressed his support. “When I was a child, it was Japanese Americans who were vilified as the enemy after Pearl Harbor,” he wrote, referring to the Japanese attack in 1941 that drew the United States into World War Two. “No one stood up for us, and 120,000 of us were sent to internment camps. I swore that I’d dedicate my life to ensure this never happens again in America,” he added. Alexandria Ocasio-Cortez, a Democratic congresswoman, accused Trump of putting Omar’s life “in danger”, and urged members of US Congress to denounce the president’s “explicit attack”. Javier Munoz, star of the Broadway hit Hamilton, also hit back at Trump, saying “it’s absolutely NOT normal to demonise” Omar with “anti-Muslim rhetoric”, while Ibram X Kendi, a professor at the American University, said anyone who did not stand with Omar “stands with Islamophobia, with racism, with politicians deploying lies to inflame racial and religious terror in the country”. 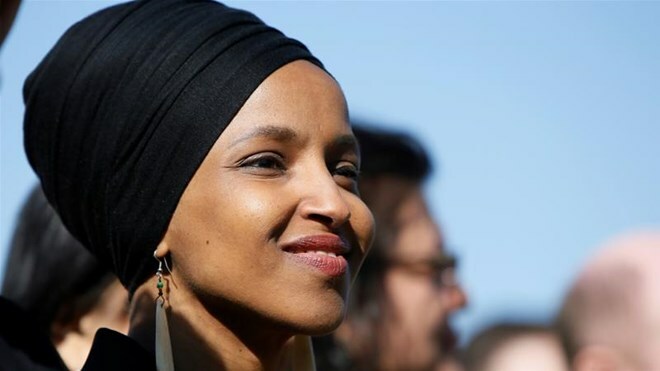 Jewish groups also spoke in favour of Omar, who earlier in the year had been criticised by some politicians and Jewish groups after she suggested politicians supporting Israel have dual allegiances. Bend the Arc, a Jewish lobby group, called the Trump’s tweet “violent and unconscionable”, while Rabbi Jill Jacobs said the president was “engaging in blatant Islamophobia”. Amy Klobuchar, another Democratic presidential candidate, noted that a New York man recently was charged with threatening Omar’s life. “The video the president chose to send out today will only incite more hate,” she wrote. « In Sibxashadii Steven Gerard Ee Shan Sano Ka Hor Ayna Iyaga Saamayn Ku Yeelan, In Kulamada Kooxdiisa Liverpool Oo Kaliya Ay Diirada Saarayaan Iyo Virgil Van Dijk Oo Saxaafada Dareenkiisa Kala Hadlay.